Who is the Giant Jumperee? 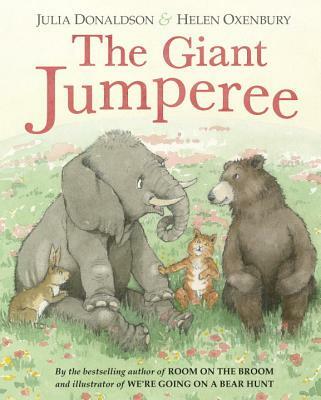 Internationally bestselling author Julia Donaldson stops by the pod to talk about her latest book THE GIANT JUMPEREE brought to life by award-winning illustrator Helen Oxenbury. This cozy read-aloud centers around a mysterious, booming voice coming from inside Rabbit’s burrow. Rabbit’s friends come to help, but are they any match for a Giant Jumperee? Thanks for listening to my chat with Julia Donaldson! If you enjoyed this episode, subscribe to the podcast on iTunes or sign up to receive emails of new episodes. If you want to be my best friend in the whole world wide web leave a review for the podcast on iTunes and share this episode. Thanks again for letting me and this podcast into your life.